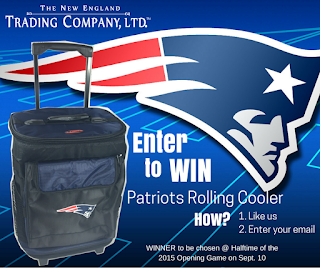 Here's a company that got lazy with their giveaway, reusing last year's image. 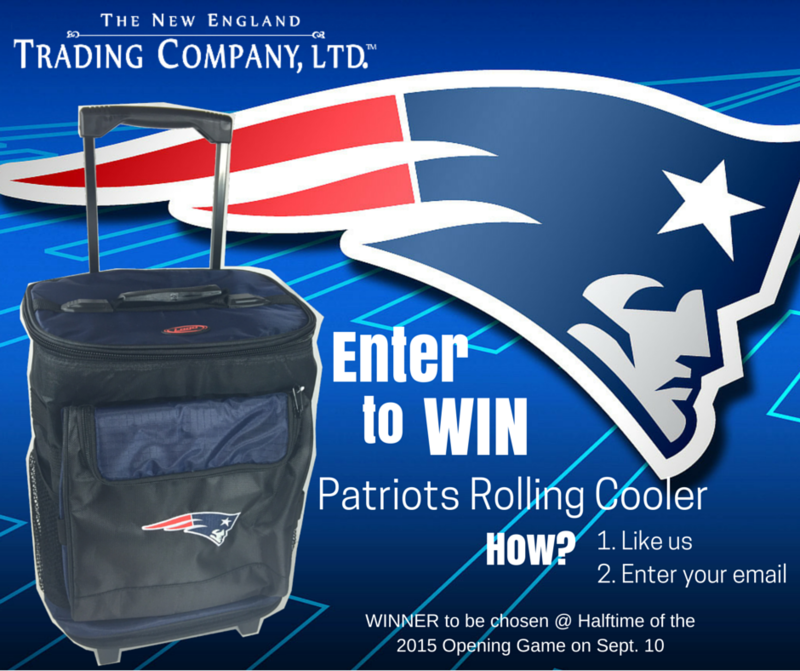 The New England Trading Company is giving away a rolling cooler with the New England Patriots logo on the side. The rules state the giveaway runs through the openng game on 9/11. The graphic mentions the 2015 opening game on 9/10. The cooler can hold 24 cans, plus ice.